Dr. Julie Berger is an expert in creating optimal health and esthetics. Her vision is to offer outstanding dental care using leading-edge procedures while ensuring that patients are comfortable, properly cared for, and relaxed during their visits. She believes that forging a partnership with every patient based on mutual trust and respect is essential to effective treatment. Every patient has a unique smile, set of requirements, and expectations, and she believes that it is her job to listen carefully and consider these facets in order to develop a predictable and individualized treatment plan. 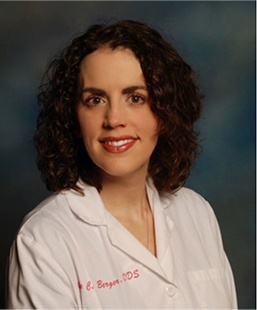 Dr. Berger received her Bachelor of Arts degree in Psychology from Shippensburg University in Shippensburg, PA, after which she earned a Doctorate of Dental Surgery, a Certificate in Prosthodontics, and a Masters in Oral Biology from the University of Maryland, Baltimore College of Dental Surgery. Dr. Berger also completed a one-year, full-time Periodontal, Prosthetic, and Implant Fellowship where she learned to perform such surgical procedures as implant placement, and both hard and soft tissue grafting. Prior to coming to Gettysburg, Dr. Berger was full-time faculty at the University of Maryland, Baltimore College of Dental Surgery. Prosthodontics is one of the nine specialties recognized by the American Dental Association. Prosthodontists are dentists with advanced specialty training in creating optimal oral health, both in function and appearance including dental implants, dentures, veneers, crowns, and teeth whitening. As with other dentists, prosthodontists complete four years of dental school. Like other dental specialists, prosthodontists receive additional training: three years of formal education in an American Dental Association certified program, which leads to a specialty certificate. Upon completing the advanced training, prosthodontists become board eligible and may take an examination requiring two years or more to complete, to become board certified. Because it is a very challenging and demanding examination, only 35 percent of all prosthodontists become board certified. Dr. Berger is currently the only board certified prosthodontist in private practice in Gettysburg and she prides herself in performing to the highest of standards in her profession. 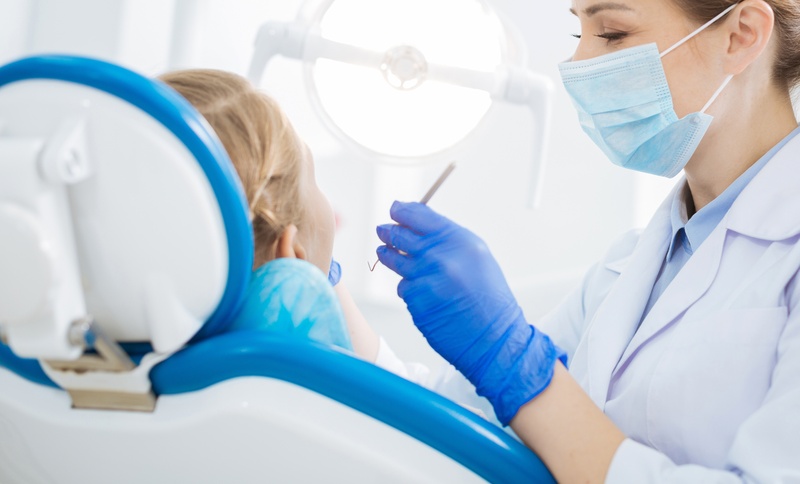 While any general dentist can call him or herself a "cosmetic dentist," prosthodontists are specialists trained in examining the entire orofacial complex to achieve an accurate diagnosis and develop an effective, appropriate, and personalized treatment plan. Dr. Berger is a skilled architect who can design an individualized treatment plan, which will restore optimum function and appearance to your smile. Dr. Berger is married and has two wonderful stepchildren. She loves to bicycle, cook, bake, and travel. Dr. Berger is a Diplomate of the American Board of Prosthodontics, a Fellow of the American College of Prosthodontists, and a member of the American Dental Association, Academy of General Dentistry, Pennsylvania Dental Association, and Hanover Gettysburg Area Dental Society.